Eugen Klein Skirt 4039 71510, Cream and Blue, Jersey Knit. 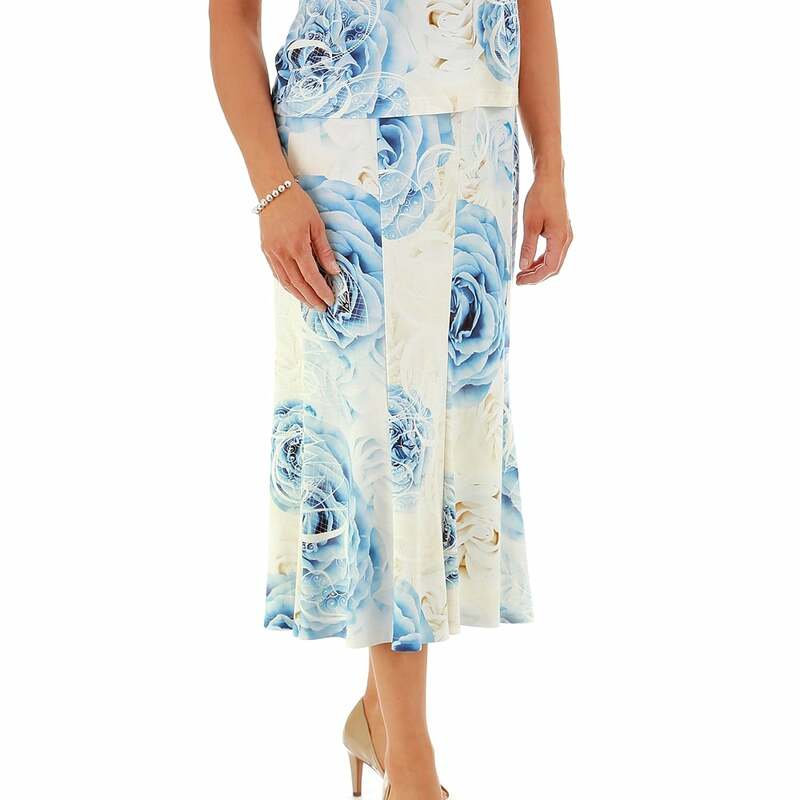 Skirt, mid length, tulip cut with eight panels, elastic waist, in an off white stretch jersey knit printed with a floral design in beige and blue. Lined. 93 percent viscose 7 percent elastane shell, 100 percent polyester lining.